Inside Universal | News & Info on Universal Parks & Resorts and more! Coaster101 - Roller coaster and theme park photos, news, reviews, videos, articles and more. 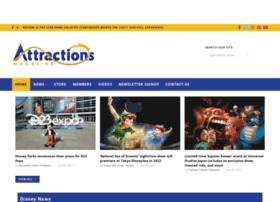 Behind The Thrills | Theme Parks, Haunted Attractions, Movies, Running & More!